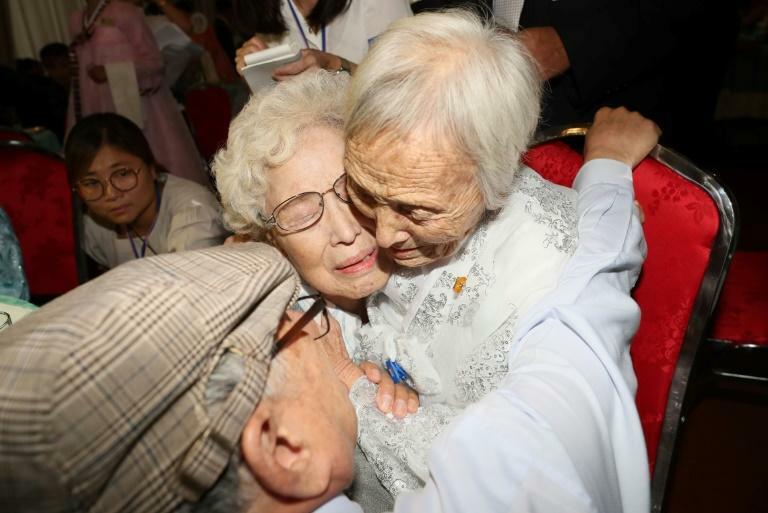 As soon as 99-year-old South Korean Han Shin-ja approached their table, her two daughters -- aged 69 and 72 -- bowed their heads deeply towards her and burst into tears. 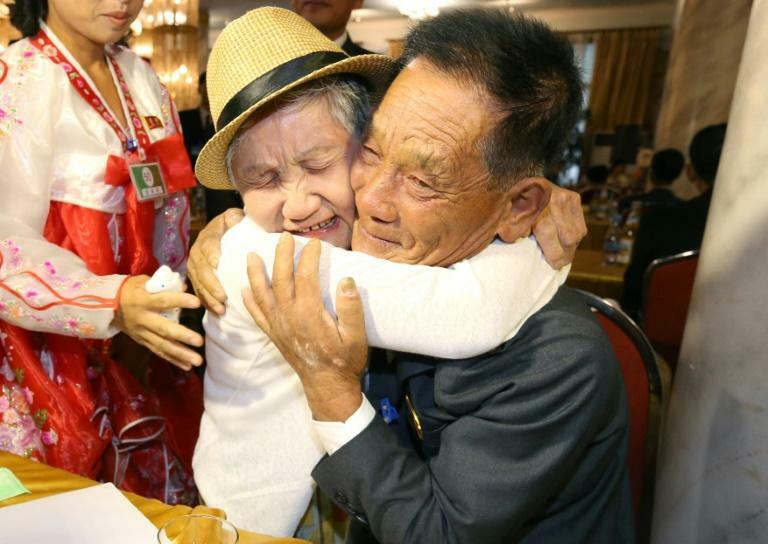 Hostilities ceased with an armistice rather than a peace treaty, leaving the two Koreas technically still at war and the peninsula split by the impenetrable Demilitarized Zone (DMZ), with all direct civilian exchanges -- even mundane family news -- banned. According to pool reports, the event began with a popular North Korean song "Nice to meet you" -- also well known in the South -- blaring out from speakers. Her son showed her pictures of his family in the North -- including her late husband -- telling her: "This is a photo of father." Tomas Ojea Quintana, the UN's Special Rapporteur on human rights in the North, called for Seoul and Pyongyang to hold more family meetings. 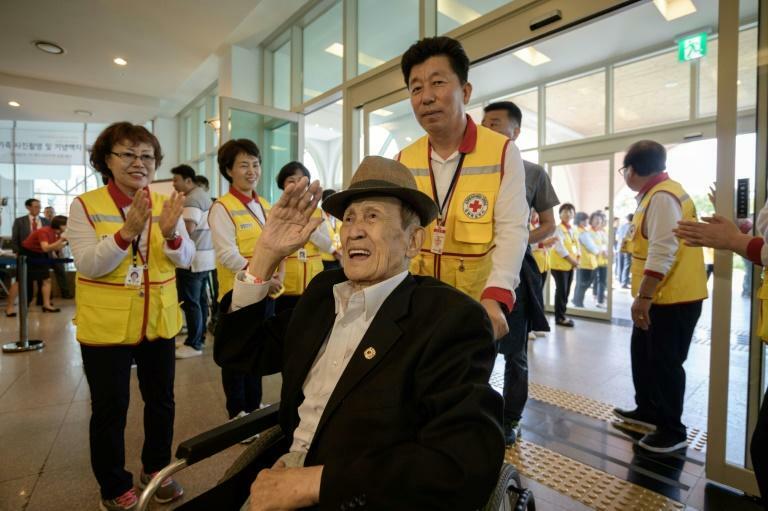 "Bearing in mind the ages of those affected, I encourage both sides to arrange more of these reunions as soon as possible so that more people can get together with their relatives and are allowed to remain in touch with them," he said in a statement. Some of those selected for this year's reunions dropped out after learning that their parents or siblings had died and they could only meet more distant relatives whom they had never seen before.